It was about time to dust off the PC Engine, which I've been neglecting for the past year, or maybe two. I felt like playing a decent platformer - one that I haven't beaten yet. After all, how gratifying can another completion of Super Mario Brothers be? 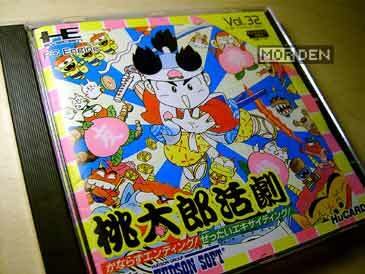 I browsed through my games and remembered, that one of Hudson's Momotarō titles is in fact a platformer - the rest of them are RPGs, which I never really started. Before I tell you more about the game, let's focus on the Momotarō character for a second, as he's a very popular Japanese folk tale hero who deserves to have his story told. As the legend has it, one day a giant peach floated down the river and was found by a woman who, when trying to eat the enormous fruit along with her husband, discovered the child hidden inside. Having no children of their own, the couple adopted the little boy and named him Momotarō, "momo" meaning peach and "tarō" the first-born son. For years Momotarō lived with his adoptive parents, but one day he embarked on a journey to the island of Onigashima, which translated to "an island of demons", to fight all the evil beings found there. 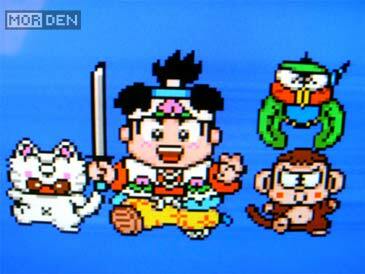 During his journey, Momotarō met three animals who joined and aided him in his quest - A dog, a monkey and a pheasant. The demon extermination went smoothly and from then on everyone lived happily ever after. This classic story, or parts of it, made it into a lot of games, manga and anime. If you ever come across a story in which a hero is accompanied by three pets, you can be sure it's either entirely or loosely based on the Momotarō tale. So, how does the game compare to the legend? For obvious reasons, the story skips ahead to the day when Momotarō leaves his home village and decides he wants to be a demon slayer. Already in the introduction we get to see all three animals which we will most likely save. The only thing that seemed weird to me is the fact that the dog looks like a cat. This might just be me, but pointy teeth and whiskers scream cat, not dog. 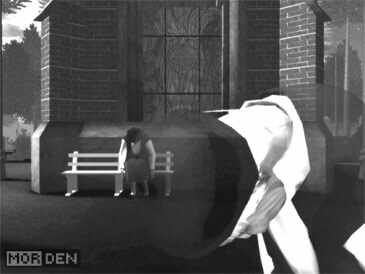 Oh well, I can only hope that some in-game cut scene will explain this irregularity. The game itself is a blast to play. The soundtrack is just awesome and the graphics are very colourful and detailed for their time. 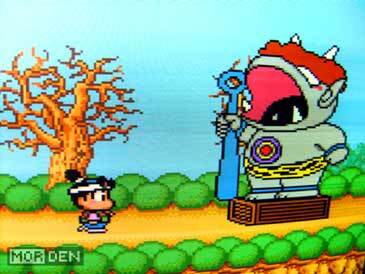 PC Engine is well known for being able to handle really large sprites, which was proven beyond any doubt by PC-Genjin 3, also known as Bonk 3: Bonk's Big Adventure. Momotarō Katsugeki features some nice boss fights that despite looking good, will put your patience to the test, so be warned. 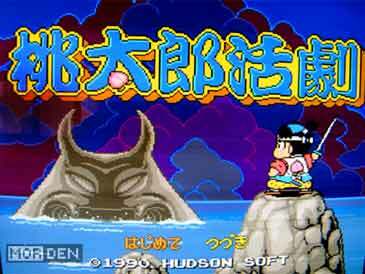 The game is most certainly worth getting, along with the rest of Momotarō titles released by Hudson. Since we're already on the Momotarō subject, I figured I should metion his appearance in iNiS' Moero! Nekketsu Rhythm Damashii: Osu! Tatakae! 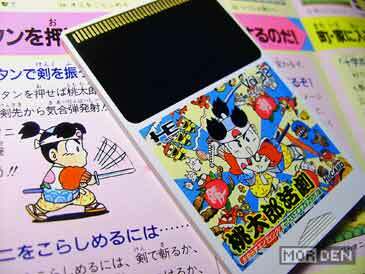 Ouendan 2. 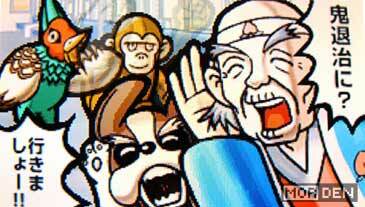 The story was adapted to fit the humour of the game, so this time we meet an elderly Momotarō Okayama, named after the prefecture from which peach-boy legend originated, who comes by the Department of Pension office to pick up his cheque. The lady clerk informs him that he is required to fight the Onigashima demons once again and so, joining up with the usual team of pets, the elderly hero does it again, aided by the enthusiastic male cheerleaders. In totally unrelated news, on November 2nd Tale of Tales was giving away free copies of The Graveyard to celebrate the All Souls’ Day. When i wrote about The Graveyard, I said I wasn't planning on paying $5 just to see an old lady die, so imagine my surprise when I got to see her die for free. A nice gesture on Tale of Tales' part, even though they shouldn't have charged the $5 in the first place. They're cool people though, so support them if you can and buy their games, because they're awesome. 2009.11.04 Wed PCエンジン ★ TG-16 Comment Tweet This!